The broke college student is more than just a stereotype. Most undergraduates can relate to stories about scrounging for change in between the seats of their car, or only being able to afford ramen noodles when their funds get too low. 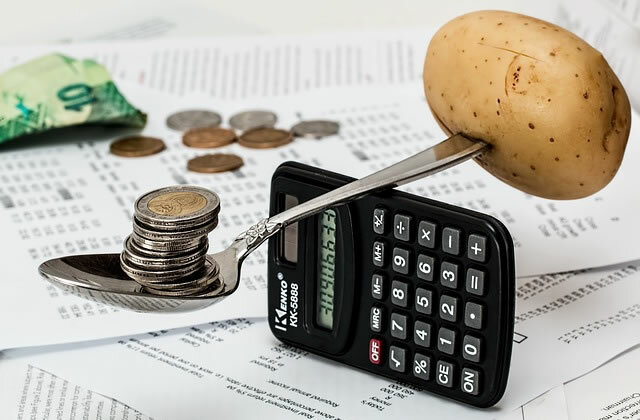 These tales can make for a good chuckle after graduation, but being unable to manage your money while in school is no laughing matter. Here are seven tips help you manage your finances while in school. For many of you, this is your first time away from home, and your first time controlling all of your own finances. If you spend all of your money on your new pair of shoes, how are you going to afford bills or tuition? Plan out your spending and stick to that plan. Download a budgeting app and consult it before you make a purchase. If it doesn’t fit your budget, don’t buy it. If you don’t have a savings account by the time you enroll in college, it’s time to get one. Get in the habit of putting a percentage of every dollar you receive in your savings. Start off with depositing 30% of your check in your savings account. Try not to do too much transferring from your savings to your checking account, that’s a quick way to see your money disappear. Checks are a great way for young people to manage their money. A checkbook can’t be hacked like a credit or debit card and they are safer than carrying around large amounts of cash. You can also keep a record of how much you spend by keeping check stubs as a ledger. It’s very easy to get cheap checks online and it will save you time from having to go to your bank to order new checks. Plenty of places offer discounts to students and you can take advantage of that just by showing your college ID. Companies like Amazon, Charlotte Russe, Apple, Chipotle, and Spotify have discounts for college students. They understand that college students need to save money and they are doing their part to help. Purchase used textbooks unless your professors ABSOLUTELY require new ones. A US News study found that students spend an average of $1,200 a year on textbooks. You can reduce that number by using websites like Chegg, Amazon, and Slugbooks to buy or rent used textbooks for fractions of the original price. If you purchase your textbooks instead of renting them, you can sell them at the end of the year. Chegg,com buys back your books, and companies like BellTower recruit campus ambassadors to buy books from students at the end of each semester. Shop around and know the worth of your books before selling them. Establishing credit is important because your credit history will follow you for a long time. Apply only for credit that you need, and don’t fall into the trap of signing up for cards just to get free stuff. When you first get a credit card, use it for emergencies only. Then, only charge things to your card that you can pay for right away. Remember, credit cards are not free money; you have to pay that back with interest so be careful of how much you spend. Remember these tips and talk to a financial advisor at your bank if you have any big questions. These four years will speed right by, don’t make spending decisions that last forever.